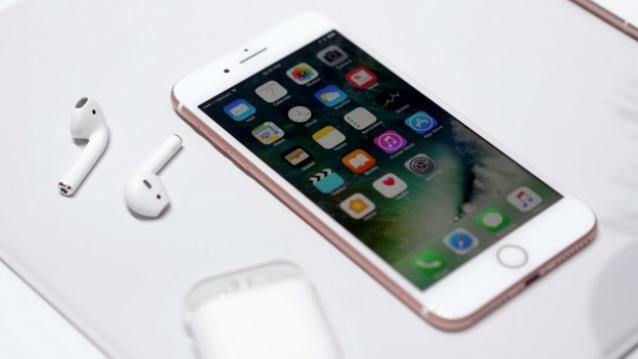 Apple announced the new iPhone 7 and 7 Plus with a new A10 Fusion chipset powering the device It’s the first quad-core chip that Apple has introduced, featuring two high-performance cores and two low-power ones. Apple’s tight integration of hardware and software have proven time and time again that a humble dual-core chip can beat Android’s 10-core monsters. Apple’s A9, found in the iPhone 6s, 6s Plus and SE still beats all Android phones in single-core benchmarks (2500 points), but it’s score of 4400 in multi-core performance still holds it’s own against the likes of the OnePlus 3. That said, with their S7 series of phones, Samsung dethroned Apple in the multi-core department. Until now. Apple’s A10 Fusion is proves that Apple is once again the performance king, as far as GeekBench is concerned at least. According to the Geekbench results for single and multi-core performance across a variety of smartphones, the new iPhone 7 series beats all new smartphones on the block. The info comes from John Gruber at Daring Fireball and shows that even the Samsung Galaxy S7 and Note 7 can’t match the raw performance capabilities of the new iPhones. This performance capability is not limited to smartphones as the new A10 Fusion processor scores faster overall results than any MacBook Air ever made. The handset only falls behind a multi-core score recorded for the early 2015 MacBook Air, which is powered by an Intel Core i7 and scores 5650 which is just a whisker shy of the iPhone 7’s result of 5630. The laptop can’t keep up with the A10 chip’s raw single-core performance though, which stands 2989 compared to the A10 Fusion’s 3261. The new smartphones can match the performance of an early 2013 MacBook Pro, powered by an Intel Core i5, which is quite something. Obviously, an x86 processor like the Intel i5 and RISC-based Apple A10 use vastly different architectures. But the numbers are still stunning. It seems that Apple put in a lot of work into the A10 Fusion. We do wonder what the iPad’s processor (The A10x?) will be like. Apple has traditionally used beefed up iPhone chips in its iPads after all.